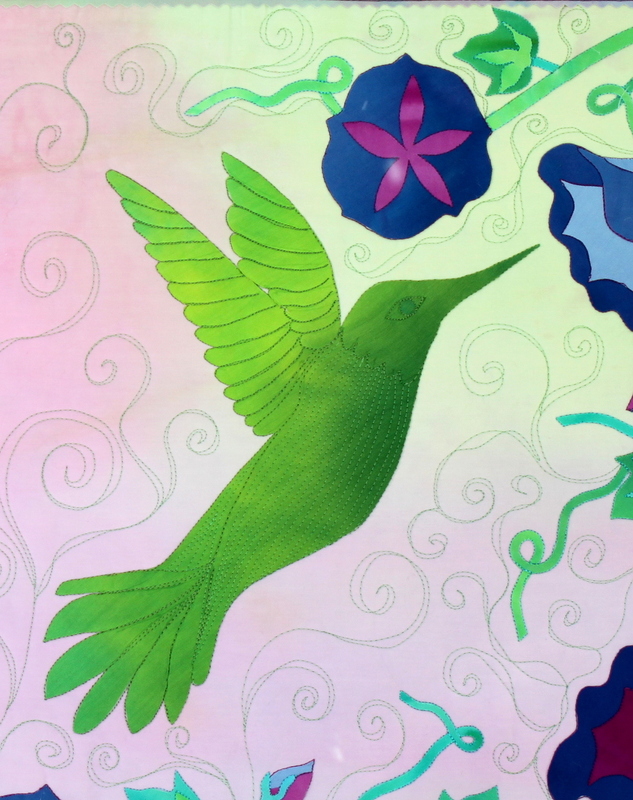 This quilt was inspired by the hummingbirds that visit my yard every year and buzz around all the flowers I plant to attract them into my garden. I plant Morning Glories by my mail box to twirl around the post and box and the Hummingbirds love to visit these trumpeting flowers through out the morning. 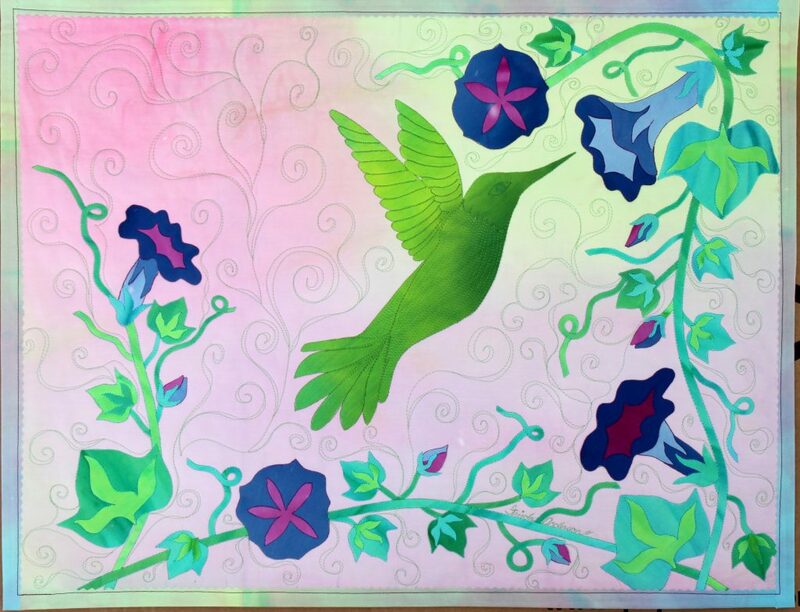 Using soft pastel colors for the background and vibrant green/aqua silk for the hummingbird this quilt will charm any viewer with it’s fun and whimsical nature. 2-3 yards of Wonder Under fusible web – it says #805 on the end of the bolt (no substitutions please) I have found it is the cheapest at Walmart on line. Fabric Kit $35 -includes four 1/4 yard and one 1/2 yard piece pieces of hand dyed fabric and pattern. Sewing machine, thread and needles.